Does anyone know what fish this is? Hi Guys, can anyone ID this fish for me please, I shot it at Gericke's, but I'm not shure what it is. Re: Does anyone know what fish this is? 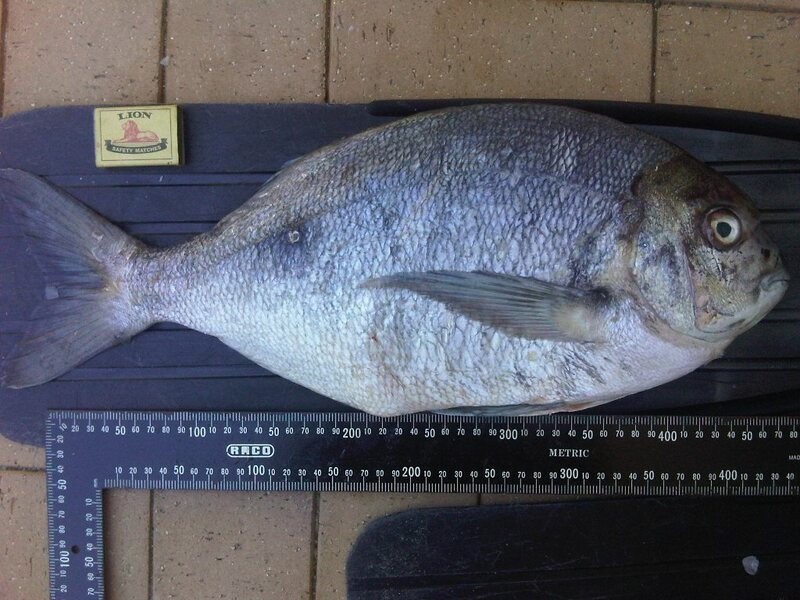 That my friend, is a hottentot a.k.a black-bream. they do come this far matey have found them and a shoal of blue hotties on a very deep pinnacle at Sedgefield as well. Um, guys, that looks like a bronze bream to me, not a hottie???? » Fish Care - am I really being kind?